It may be possible in practice that the alternator running with full excitation may undergo a sudden short circuit because of the abnormal conditions. Due to sudden short circuit of alternator, large mechanical forces are developed which may not be sustained by the alternator. 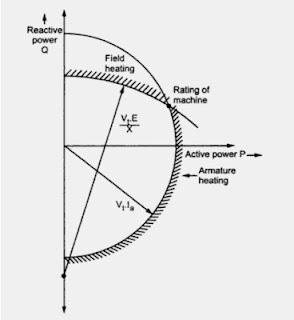 These forces are proportional to square of the current value, hence large pressure is built up between adjacent stator conductors. The short circuit transients in a synchronous machine is a complicated phenomena due to number of circuits coupled to each other are involved. When a synchronous generator undergoes short circuit, it has a characteristics time varying behaviour. 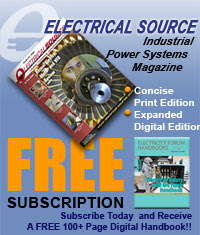 During short circuit, flux per pole dynamically changes. Thus the transients are seen in the field and damper windings. The alternator can be represented by an equivalent circuit wherein the reactance is seen to be changed from subtransient reactance to final steady state synchronous reactance. When alternator undergoes a short circuit number of events take place which depends on various factors such as the instant in the cycle at which short circuit occurs, whether the machine is loaded or not, what is the excitation provided, how many phases are involved, whether it is occuring near to machine terminals or away from it and on the constructional features of the machine. 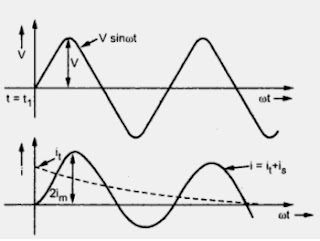 Hence the evaluation of sudden short circuit current for the given conditions is complex and to some extent empirical process depending on values of resistance, self and mutual inductances which themselves are variable and difficult to assess. After the moment of short circuit, the time period followed by it can be divided into three periods. The first one is very short period of one or two cycles the conditions of which are dependent on the flux linkages between stator and rotor during short circuit. The second interval is longer one which is nothing but transient decay of short circuit current which is affected by damping and rise of armature reaction. 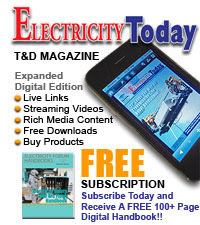 The final period is nothing but the steady state short circuit before which the generator is normally open circuited. The behaviour shown by the alternator just after short circuit can be understood by the use of constant linkages theorem. 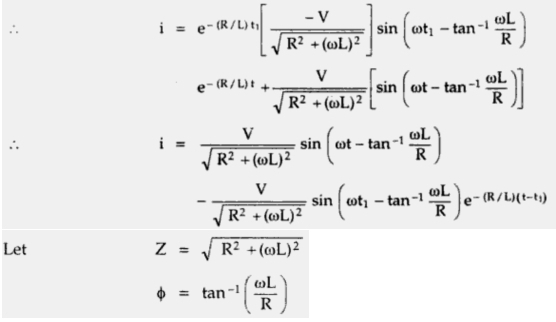 If a closed circuit with resistance r and inductance L is considered without a source then the equation obtained using KVL will be ri + L (di/dt) = 0. If r is very very small then L(di/dt) = 0 or d/dt (LI) = 0 This shows that the flux linkages Li remain constant. In generator also the effective inductance of stator and rotor windings is large compared to the resistance which can be neglected for first few cycles. The rotor circuit is closed through exciter while stator is closed by short circuit. Thus the flux linking with either winding must remain constant irrespective of the rotation. Similar to theorem of constant linkages let us consider a series R-L circuit excited by a voltage source which is sinusoidal for further understanding of short circuit. The circuit diagram is as shown in the Fig. 2. Let at the instant t = t1, the sinusoidal voltage V sint is applied to series R-L circuit. where A and B are undetermined coefficients. To find the value of K1 let us use initial conditions i.e. The corresponding waveforms are as shown in the Fig. 3. The first term in the above equation represents steady state current (is) while the second term represents transient current (it). If the voltage is switched at t = t1 when it is zero, the transient term is having the greatest value. The resultant current is zero having complete asymmetry. The approximate current in this case reaches 2im which is known as doubling effect compared to the switching of voltage at the instant when voltage is at its maximum instead of zero. This shows that the current flowing in the circuit changes its waveform if the instant at which voltage is applied to the circuit, is changed. The same thing is applicable in case of generator undergoing short circuit.